Valentine’s Day is tomorrow – a day definitely not just for lovers… but for family, friends and all those we hold dear. 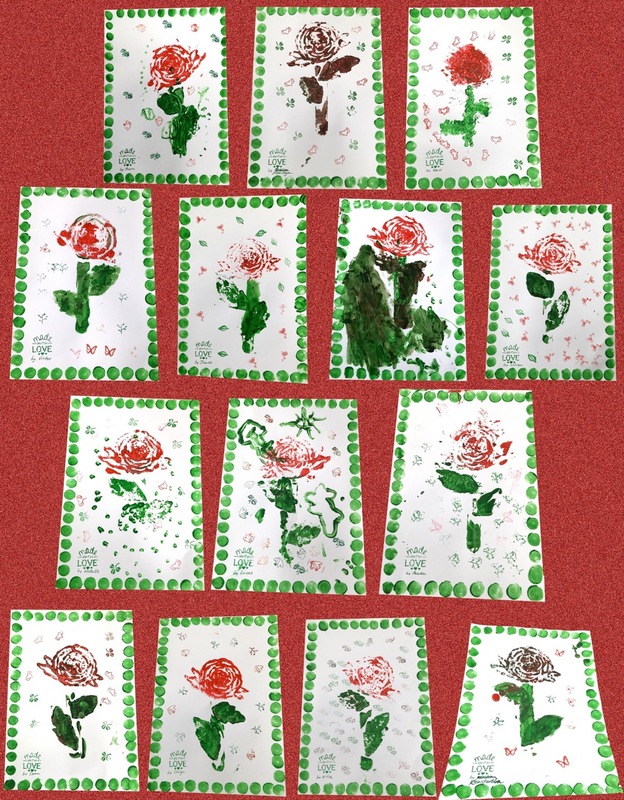 I just wanted to share with you this Valentine craft combo that I did with my little crafters. 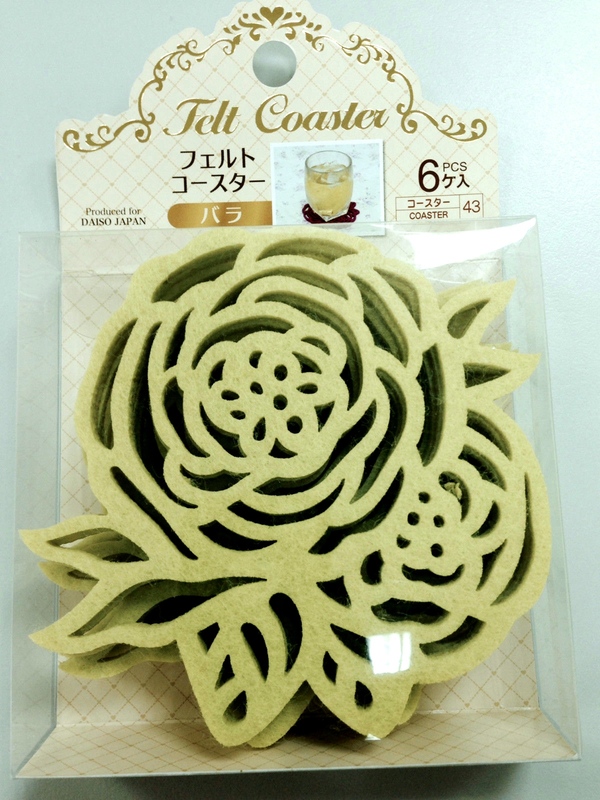 1) I got a few felt coasters from Daiso – 6 in a set. 2) I cut out the part of coaster I wanted to use for my project… and then I covered back with cardboard. 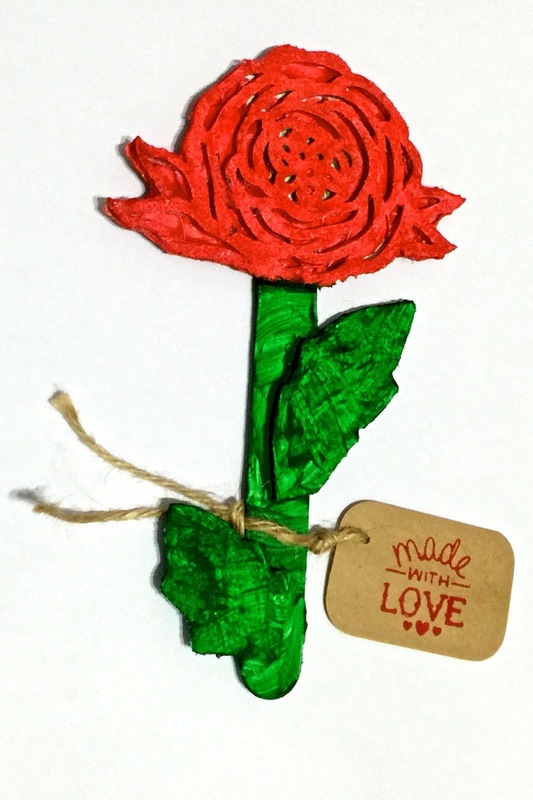 6) Make a print: put an A4 paper on top of the painted rose to make an impression. 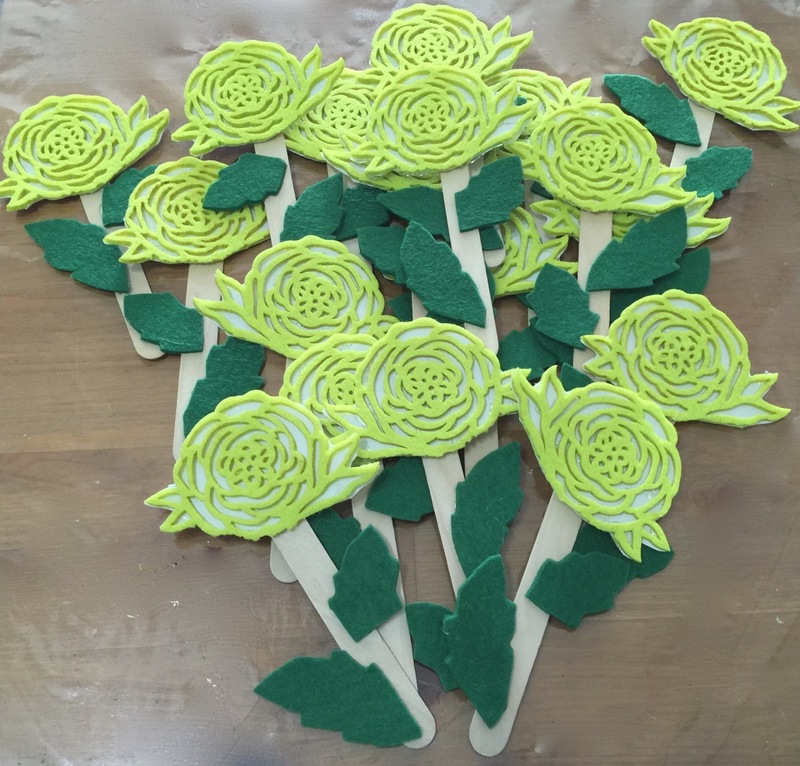 Press evenly with the back of your hand, pressing along the contours of the rose (stem and leaves), making sure you get as much detail imprinted. 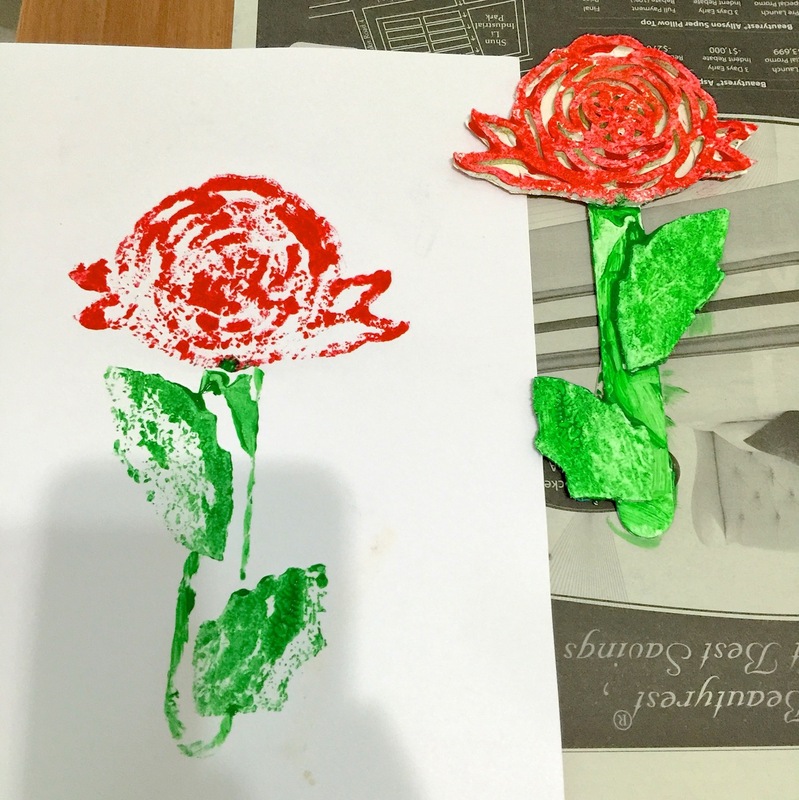 Put print aside and finish painting your rose. 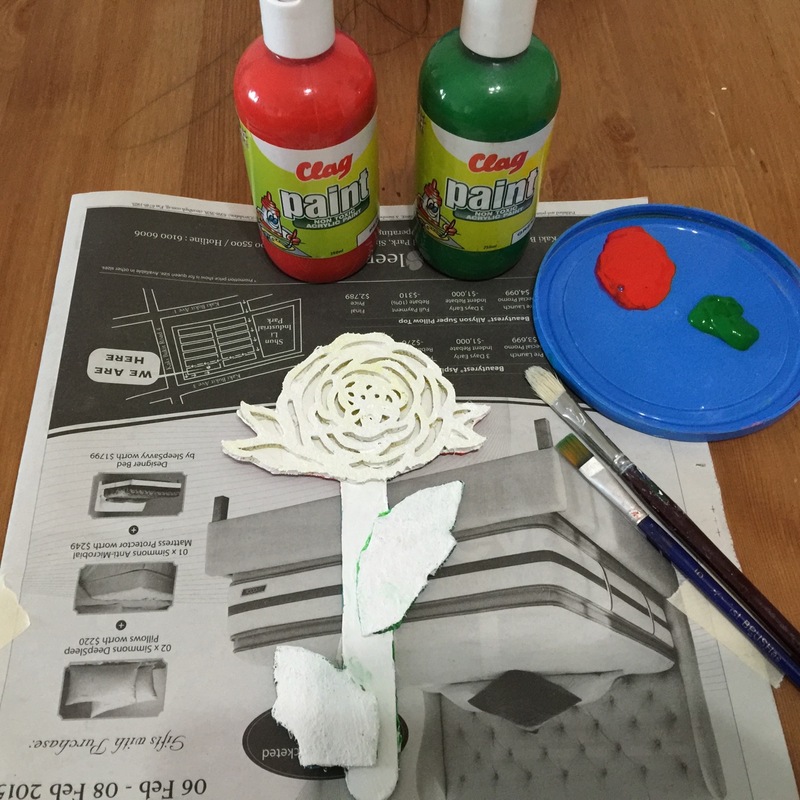 7) Some details didn’t show: NO WORRIES —use cotton buds (Qtip) to dot in some details. 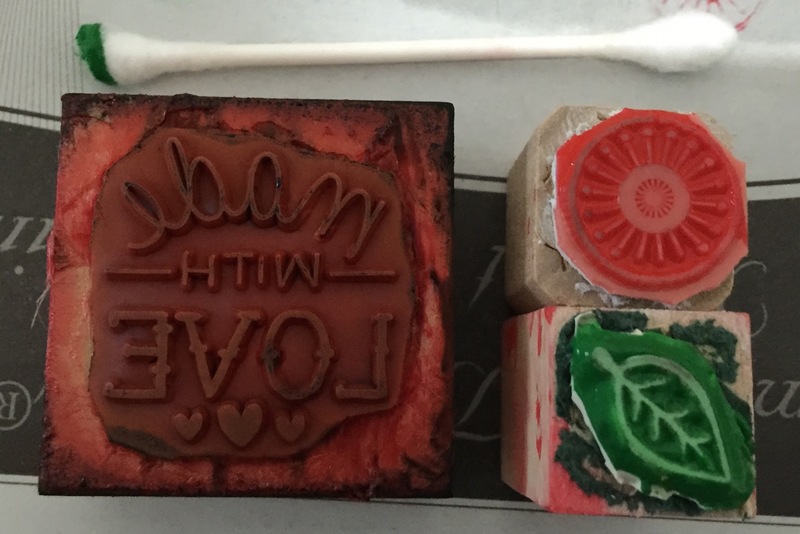 Photo below shows rubber stamps that I used to embellish my Cabbage Rose print. 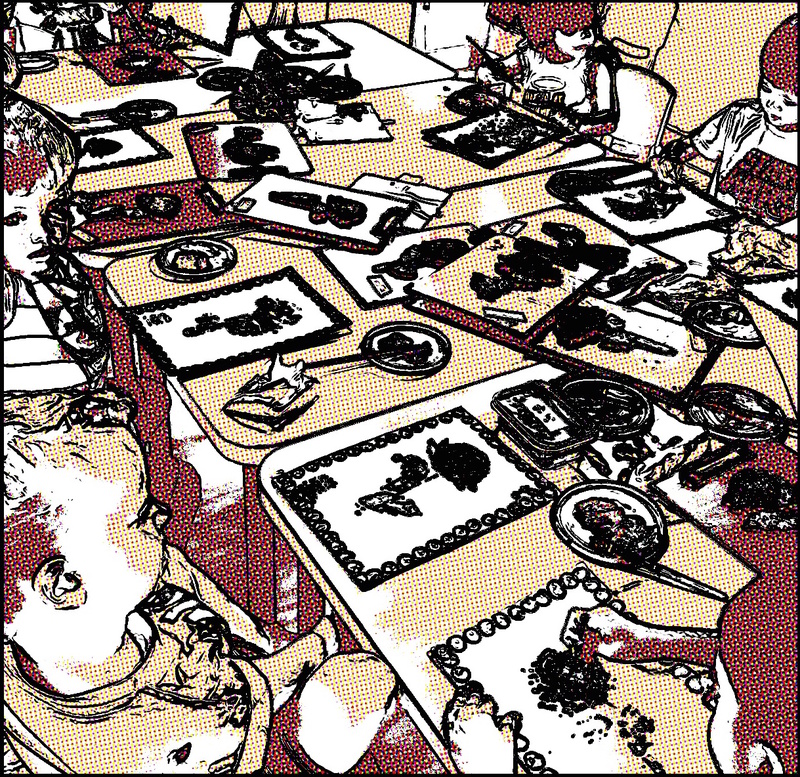 As a warm-up activity, I taught the kids the poem “Roses are red. Violets are blue. Sugar is sweet and so are you.” to the tune of “Red Like I Said” by Network Ten (it’s from a collection called “In The Box”). Teachers in Singapore and Australia may be familiar with this tune. However, you can always come up with your own tune. So do… find creative ways to show your love to those dear to you. Flowers are nice, chocolate is sweet- but a little kindness everyday means so much more! 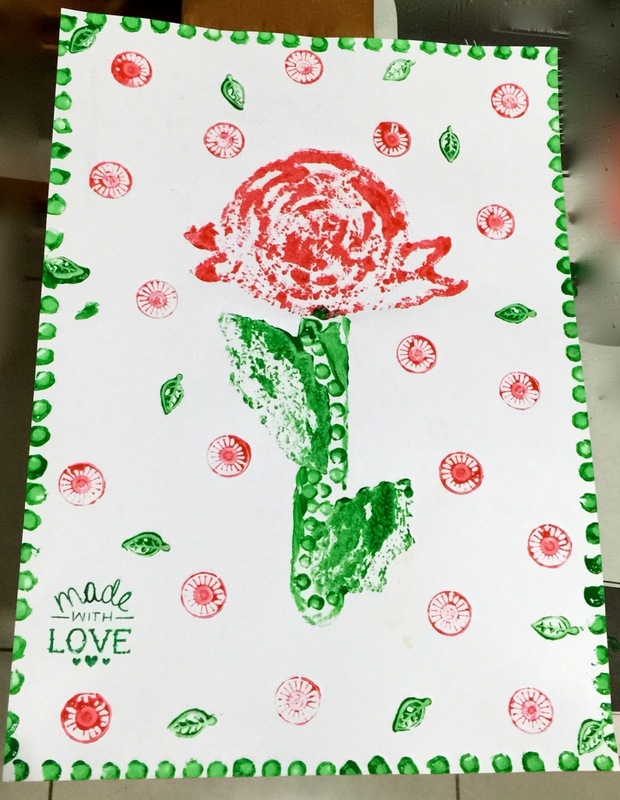 This entry was posted on February 13, 2015 by Paulina Constancia in Care, Communicate, Create and tagged Arts & Crafts, celebrations, homemade gifts, printmaking, Valentine's.